There are so many fires to fight on the policy front that it's difficult to decide where one's energy should be focused. On the national scene we continue to witness the activism of a government determined to remake Canada's immigration, refugee determination and citizenship programs to suit its ideology. With barely time to reflect on the collective responses from progressive advocates on the refugee determination and family reunification files, not to mention the ongoing debate about cuts to refugee health through changes to the Interim Federal Health program, we are now bracing for significant changes to our Citizenship laws and practices. I wrote about the latter in this space last month, and it will dominate our policy conversations for the foreseeable future. Toronto's WoodGreen Community Services just launched their Homeward Bound ad campaign. The ads feature struggling single mothers from the Toronto area, and asks a simple question: "What if we cared about those living in poverty as much as we care about celebrities?" Learning about celebrities is fun, but there are people who need our attention much more: struggling single mothers for instance. As you can see, the print ads/outdoor posters are art directed to look exactly like your favorite celeb magazines, complete with the same chunky fonts and hideous screaming yellow headlines. The difference is that the women on the "covers" are real single mothers, to whom WoodGreen provide a assistance. The video, which is also running in Toronto area TV stations, is the gem of the campaign. OCASI has prepared a preliminary analysis of Bill C-24, the Citizenship amendment Act tabled in the House of Commons on Thursday February 6, 2014. The Bill will create new barriers to Citizenship if passed. We will develop a fuller analysis as we continue to review the Bill and prepare for public comment opportunities through the Parliamentary Standing Committee later in the year. Have you used CitizenshipCounts.ca with a client or for your work? 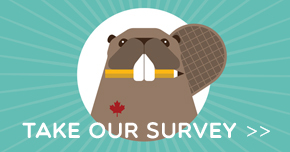 If you have 3 minutes to spare, please take our evaluation survey. We are using results to make the website and app better for people studying for the citizenship exam. If you have ever struggled to explain the school system to a newcomer client, or to anyone for that matter, you will appreciate this new resource. OCASI has created an Infographic on Ontario's School System. The infographic highlights the different school systems in Ontario; from private and public to English and French schools and everything between. If you are looking for more comprehensive information about the school system, the newcomers' guides to Elementary and Secondary schools will be helpful. As leaders of organizations' move forward to set the direction of their organization and ensure adequate resources for their programs, they often confront a series of questions. Is our organization on the right track? How does our organization measure effectiveness and evaluate progress? Can we as organizational leaders improve the way we work and engage with our stakeholders? One quick way to begin to answer these questions is to take the pulse of your organization by completing an OrgWise Organizational self-assessment. To learn more about the assessment or to conduct an in-house information session please contact Petra Roberts. Join us in congratulating Avvy Go for her appointment to the province's highest honour, the Order of Ontario. Order of Ontario appointees are chosen for their contributions to the arts, law, science, medicine, history, politics and philanthropy. Last month Avvy, clinic director of the Metro Toronto Chinese & Southeast Asian Legal Clinic, was bestowed the honour for years of social justice work. She has been involved in a number of legal and policy reforms and played a role in Canada's Redress for the Chinese Head Tax and Exclusion Act, which resulted in an official Canadian government apology in 2006. Avvy is one of 25 people to be recognized by Lieutenant Governor David Onley this year. Learn more about Avvy. The Vulnerable Workers workplace inspection blitz that started on May 1, 2013, and ended August 31, 2013, was the second Employment Standards blitz conducted by the Ministry of Labour. The Ministry considers vulnerable workers to be those who work in sectors where they may be at greater risk of having their rights violated, and who may lack the ability or resources to understand their rights and to have them respected. Vulnerable workers may include young workers, newcomers to Canada, and those whose first language is neither English nor French. As a follow-up to the Employment Standards Vulnerable Workers Blitz Results presentation held late last year, results from which are posted on the Ministry of Labour's website. The Ontario Ministry of Labour recently announced the new Occupational Health and Safety Act (OHSA) Regulation for Occupational Health and Safety (OHS) Awareness Training, which lays out the basic OHS training requirements for workers and supervisors. The regulation will come into effect July 1, 2014; as such the ministry has developed a training suite including, a poster, workbooks for supervisors and workers and as well as new eLearning modules. In the spring the ministry will release materials in multiple languages. All materials are provided at no-cost. The Shaping the Future: Leadership in Ontario's Nonprofit Labour Force report concludes the first phase of the Ontario Nonprofit Network's (ONN) Human Capital Renewal Strategy. The report summarizes data from new survey research conducted over the last year, which lays the groundwork for strengthening and expanding made-in-Ontario strategies to renew our people–the foundation of passion, creativity and skills that sustain the nonprofit sector's dynamic and effective contributions to individual and community well-being. The nonprofit sector employs over 600,000 and represents 2.6% of Ontario's GDP. A key part of strengthening Ontario's nonprofit sector is strengthening its labour force - and now, building on years of sector collaboration, comprehensive labour force planning is in the works. Now that data is available, some of it made easier to follow, it makes sense to utilized it in ways that move the sector forward. Participate in the Canadian Council for Refugees' Working Group (WG) meetings in Toronto on February, 28 and March 1, 2014. The WG meetings are open to everyone except media and government representatives. There is no cost to participate, and no need to register in advance. The Immigration and Settlement WG meeting on Sat. March 1, will feature discussions on the future of Canada's settlement program, Canadian citizenship issues, rights of migrant workers and more. A growing number of immigrant and refugee clients are having their benefits illegally terminated based on a misapplication of social assistance regulations. Brought to you by Your Legal Rights, this webinar looks at how immigration status and/or a removal order impacts eligibility for Ontario Works or Ontario Disability Support Program and how recent changes to the Immigration and Refugee Protection Act are being interpreted by some caseworkers. It also covers ways to advocate with caseworkers, how to request information, what information to include in an internal review of a decision to terminate benefits, and where to get additional help.